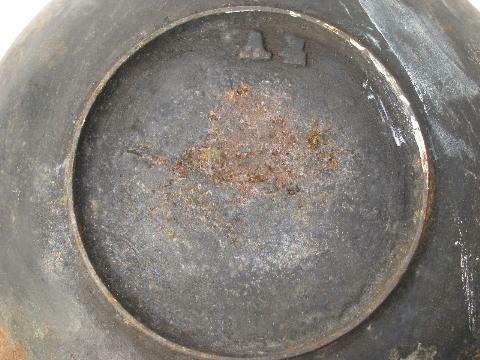 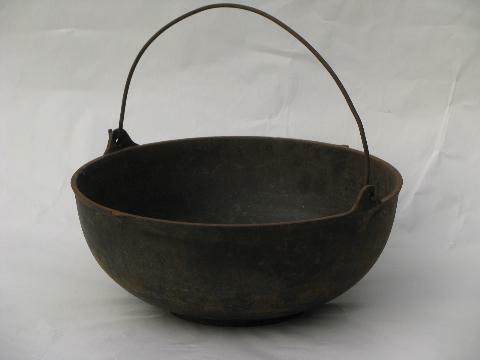 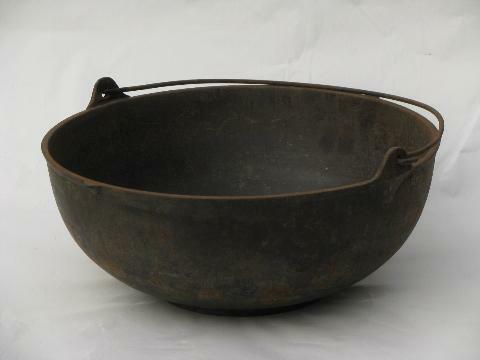 Nice old unmarked cast iron pot with a great round cauldron shape (perfect for Halloween!). 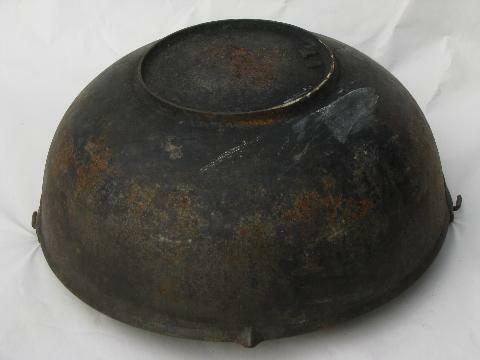 This measures 11 1/4" across the rim and 5" deep. 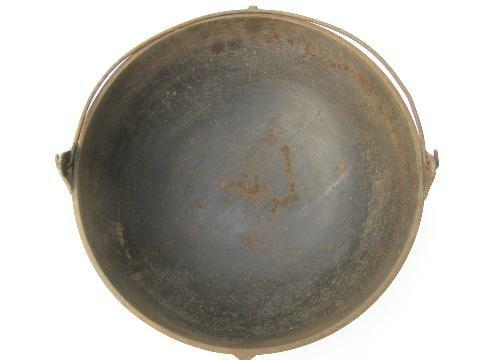 This is a very good, usable condition, no cracks, very little rust spotting, good and solid.